· In the event of an incident your first priority is for the safety of competitors and yourself. · Keep all radio contact to a minimum. · Control is the UH/UL officer in charge of dealing with the incident. o DESIGNATE AN INDIVIDUAL (AS APPROPRIATE) TO ACT AS THE UH/UL OFFICER IN CHARGE OF THE SECONDARY EVACUATION CENTRE. THAT INDIVIDUAL WILL ACT AS CO-ORDINATOR AT THE SECONDARY CENTRE. 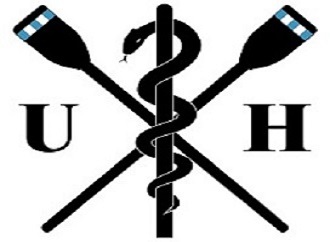 · Ensure you have all safety equipment as set out in the British Rowing Row Safe before boating (see display on boathouse wall) and that you know how to use it. IMMEDIATELY INFORM SAFETY LAUNCH VIA RADIO. Include your identity, location, nature of incident and number of casualties (e.g. “SAFETY, SAFETY , this is launch 2, capsized VIII 100yds downstream of Kew Bridge, Nine people in the water”). Ensure that you have an acknowledgement from the safety launch (or control). Once your call has been acknowledged, maintain radio silence unless there are further safety related issues. If the incident is in the second half of the course, call launch 4 (Finish marshal) for assistance if necessary. The safety launch should provide the primary rescue in most circumstances. 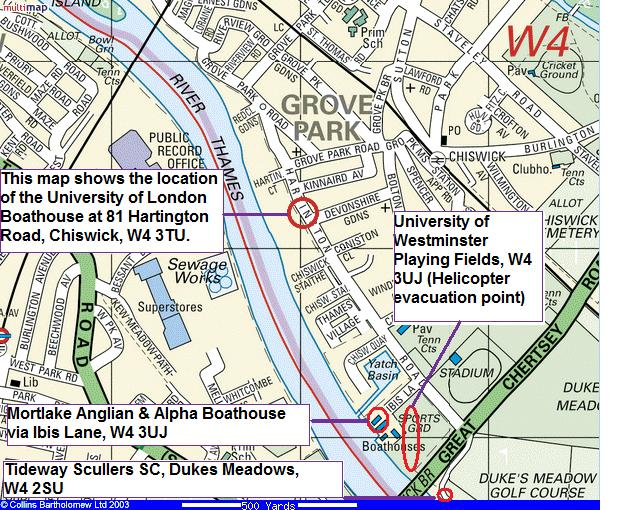 Other launches in the vicinity should stay away from the primary rescue unless called to assist (for example, in dealing with the racing boat), but should maintain a good lookout to prevent other river users from entering the incident area. Tin fish launches should ONLY assist in the recovery of persons in the water if it is safe to do so (do not put yourself in danger).